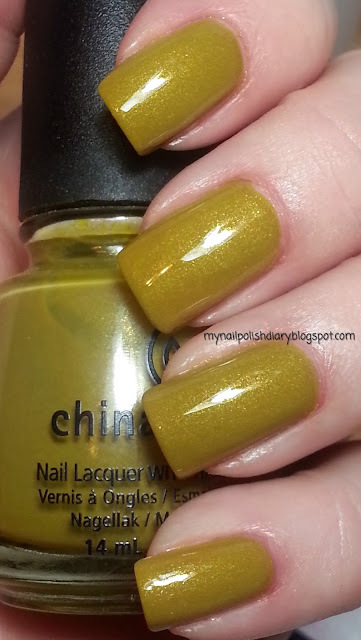 China Glaze Trendsetter is from the 2011 Metro Collection. I think this color is probably a love it or hate it kind of shade. Personally I love it. The green is totally unique in my collection, but the gold shimmer...The shimmer makes this polish come alive. Gorgeous. They really had some great polishes in that collection!! 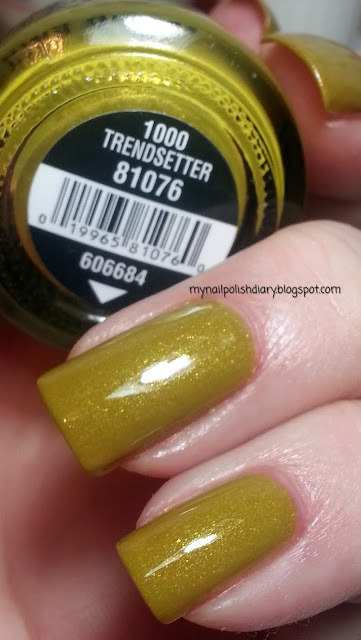 :D Great swatch!